The statistic shows the features of headphones people in the United States consider to be the most important, when purchasing new headphones. 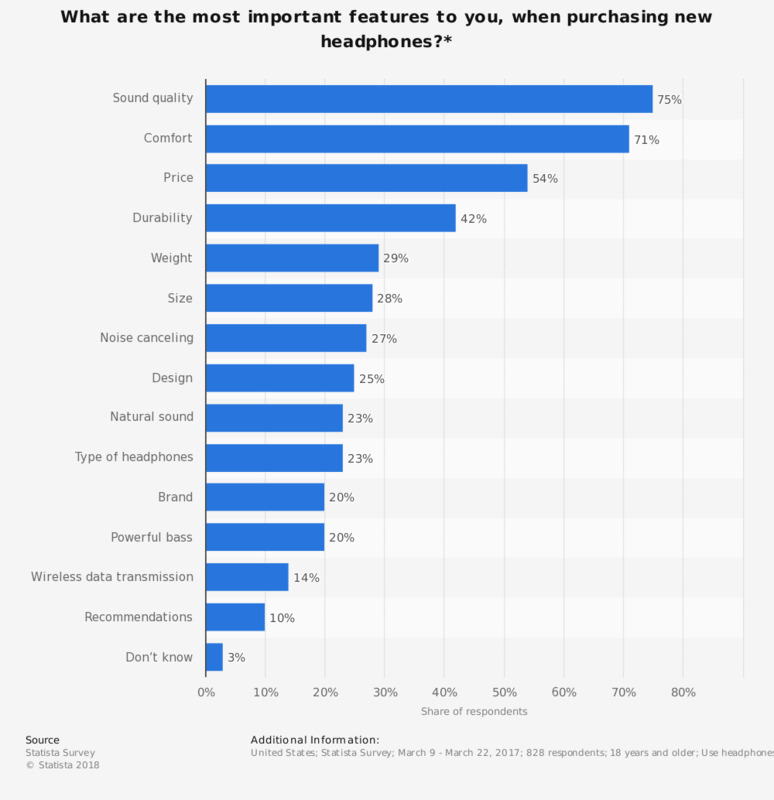 75 percent of respondents said that sound quality is the most important feature to them, when buying new headphones. Use headphones more often than "never"
What kind of cellphone are you likely to get?